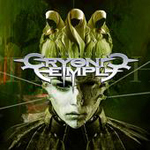 Sweden's Cryonic Temple is another Scandinavian power metal band that has been missing in action for several years. Their last work was the well received 'In Thy Power' in the Spring of 2005. Since then they have gone through some personnel changes and switched labels from Limb Music to Metal Heaven. My listening experience began with 2003's 'Blood, Guts & Glory' which was basically Helloween meets Manowar. I liked it, but then again I'm a sucker for all things power metal, especially if it's done well. And Cryonic Temple does their brand of power metal quite well; 'Immortal' will please fans of the band and this much loved (and maligned) genre. 'Immortal' is another fine effort from Cryonic Temple, probably even their best work to date. Yet, they still demonstrate some inherent limitations when they fall back upon deriative, heard that before, power metal. Otherwise, I liked it and can easily recommend it to fans.